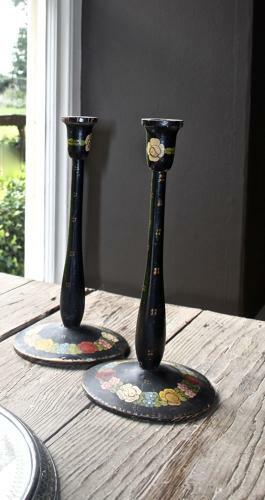 Pretty pair of painted wooden candlesticks dating to the 1970s. Floral paint. Some chips to paint but structurally sound.